We are very much behind posting about the tiling in the bathroom. So much to do, so little spare time. 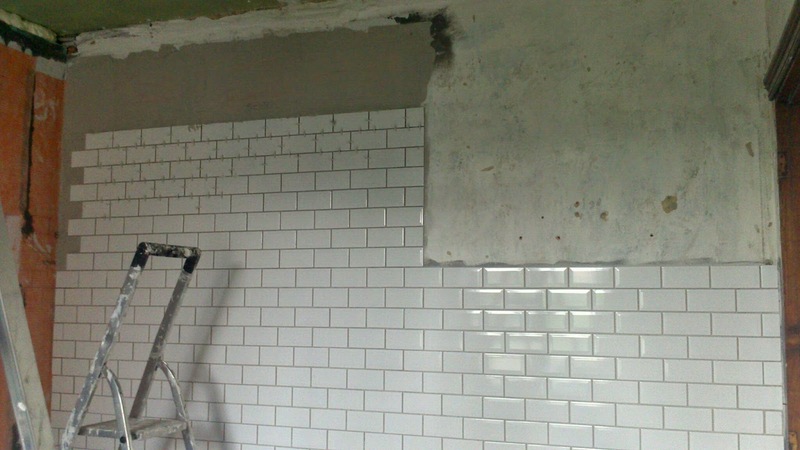 Long wall all tiled. The inside of the niche to go. Center floor pattern. 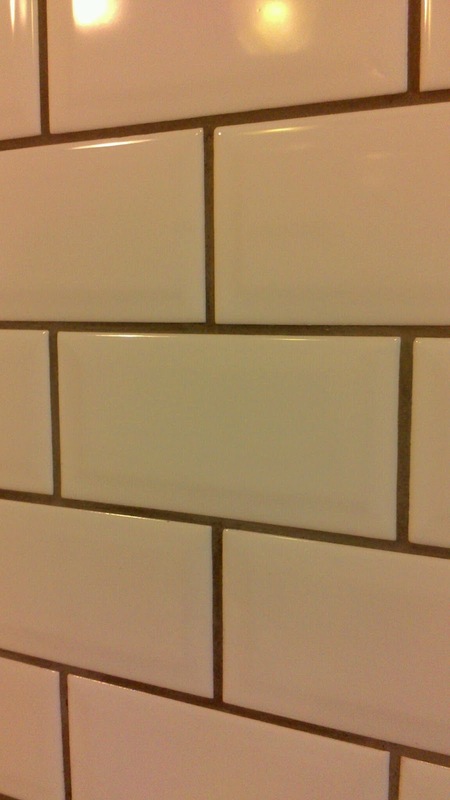 Our first ever tiling! 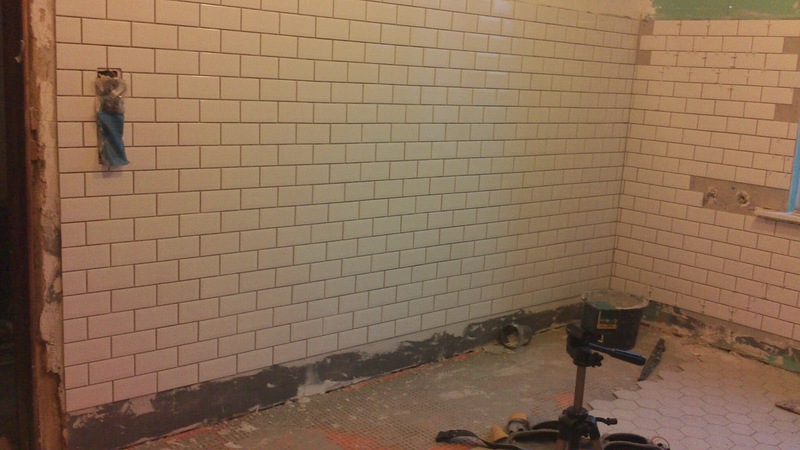 Shower and door-side wall (it's all tiled now). 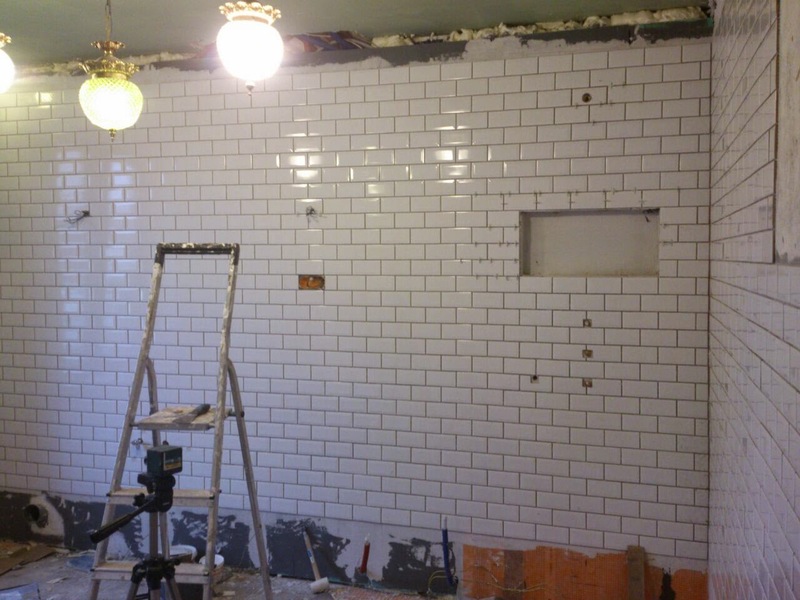 Storage and bath walls. 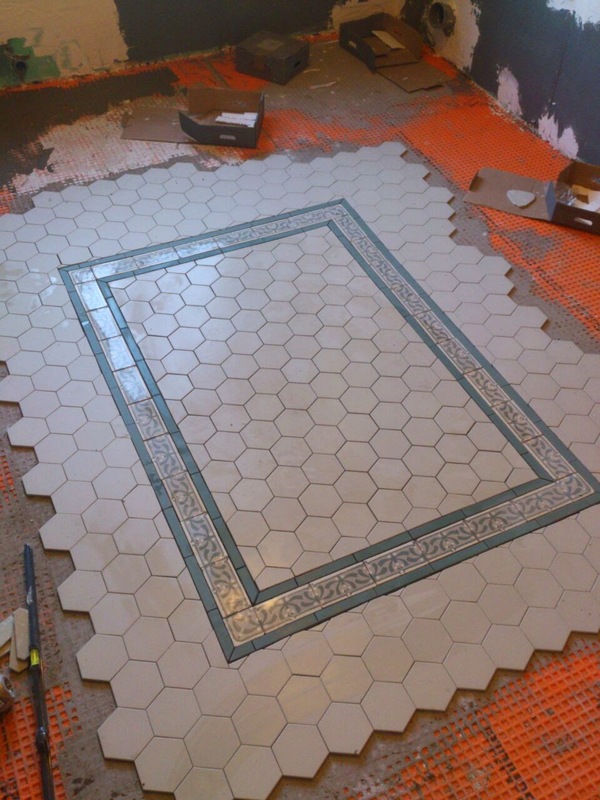 These are also tiled now. We're leaving the bottom strip until after the floor is all tiled up. 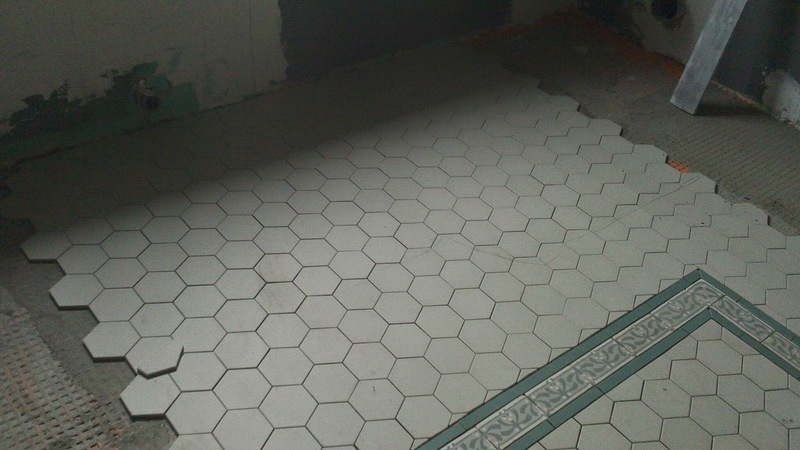 slow grouters ;) we'll use the same grout on the floor as well. I'm afraid they're all phone pictures... too dirty (and time-consuming) a job to bring better cameras around.